UPDATED: According to Western Regional Jail records, Melvin Courts of Huntington was incarcerated on Jan. 14, 2017 on multiple arrest charges including stalking, possession of a controlled substance, obstructing and vehicular breaking and entering. Huntington Police continue investigating an apparent double homicide that occurred about 3 a.m. at 1330 Huntington Avenue. During the afternoon , a crowd gathered near the crime scene --- Oak View Apartments --- where crime scene tape surrounded the building. The location is near a Little League field and about a block from 1410 Charleston Avenue, where on May 22, 2005 four teens were gunned down following the Huntington High Prom. Police Chief Hank Dial has revealed that Melvin Courts Jr. 26, and Kelli N. Adkins, of Wayne, were dead of gunshot wounds. A Facebook posting concerning Kelli Adkins indicated "she had a good soul, personality, and heart to those she cared about..." Ms. Adkins identified as a home health care worker had been in "the same click" as the male writer at Wayne High School. "I deeply want to express my gratitude for the time I got to share with her at school." Several postings refer to "the world has gone crazy," "drugs have taken over our world," " to take care of bub, you guys always were the best of friends," and to R.I.P. "another one gone way to fast." Over on Melvin Courts Jr. Facebook page similar tributes remembered him. He listed himself as an NYC resident from San Francisco, though he made at least one rap video in Huntington. One reads: "My mind is still having trouble wrapping itself around the fact you're gone." Another poster wrote in part: "I’m thankful and grateful for the time we shared so many great memories and a life cut so short, but I know this much you chillin with the fam (sic) in heaven watching over us now. " A cousin concluded a tribute with "the last time I saw you we said we love each other and we meant every letter. RIP Melvin Anthony Courts Jr. Forever in my Head." WSAZ and other media indicated that Minister William Sloan, a pastor with Full Gospel Assembly, spoke to members of the media alongside the parents of Courts. "You have to fight back your emotions,” he said. “You have to fight back the anger, the pain we have. Even as a minister I have to stand here and act like I'm not affected, as if I got it all together, when inside I'm hurting. The pain I'm feeling is nowhere near to the pain his parents are feeling." WSAZ indicated police have been to the apartment building numerous times on warrants to search for drugs. Adkins cousin told HNN that Adkins had been seeing Courts, alleging involvement in substance abuse. 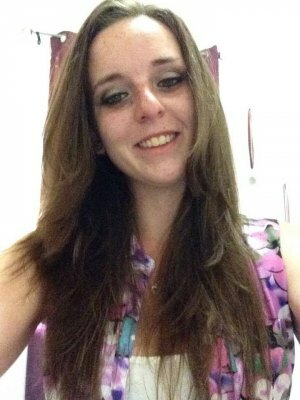 Alacyah Johnson, Courts cousin, disputed that the victim had ever used illegal drugs. "He (Melvin) was never addicted to anything," she said. Sean Hornbuckle told HNN that "Melvin was not a drug user that I am aware of." Social media posts contain one or more "threats" of retaliation on the unidentified shooter. The homicides are the third and fourth of 2018, though two other cases await forensic results. It's been about three months since the city's last homicide, according to police statistics.